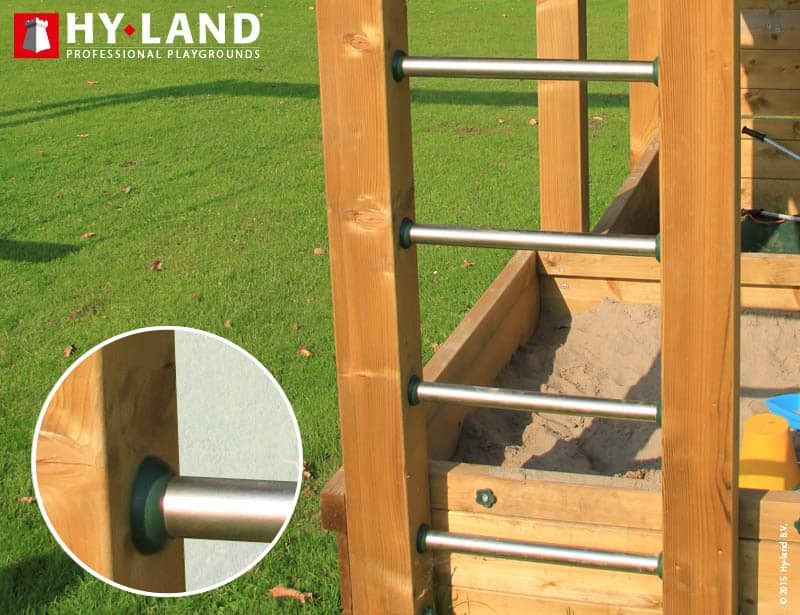 Budget-friendly children’s climbing frame for schools, pubs, campsites and such. 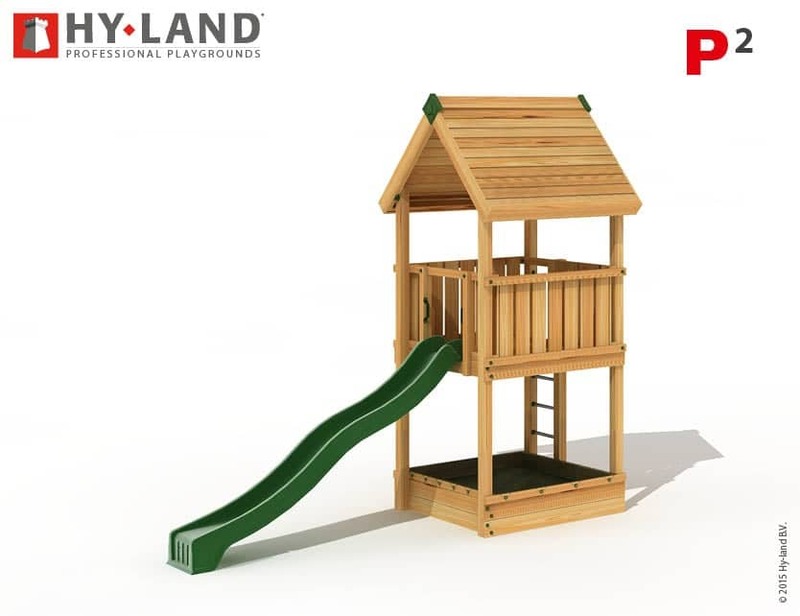 One of our bestsellers and highly suitable for smaller indoor and outdoor areas. 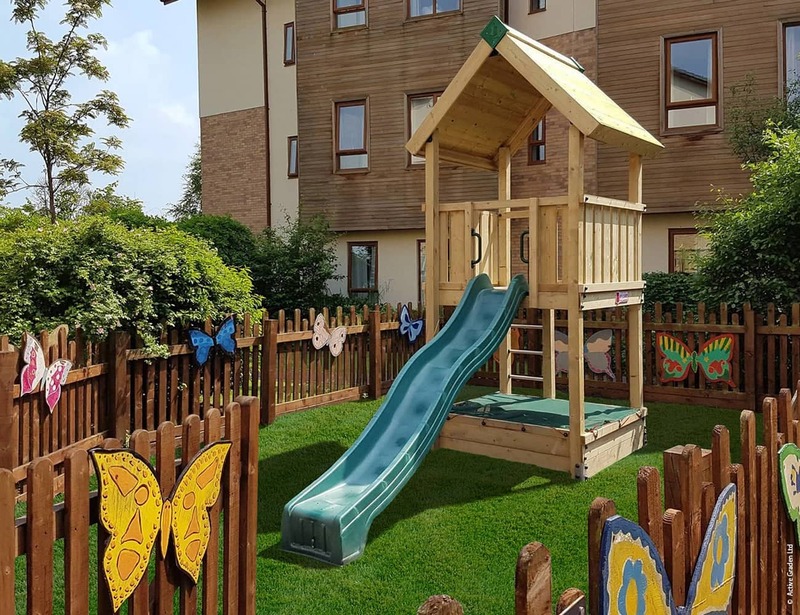 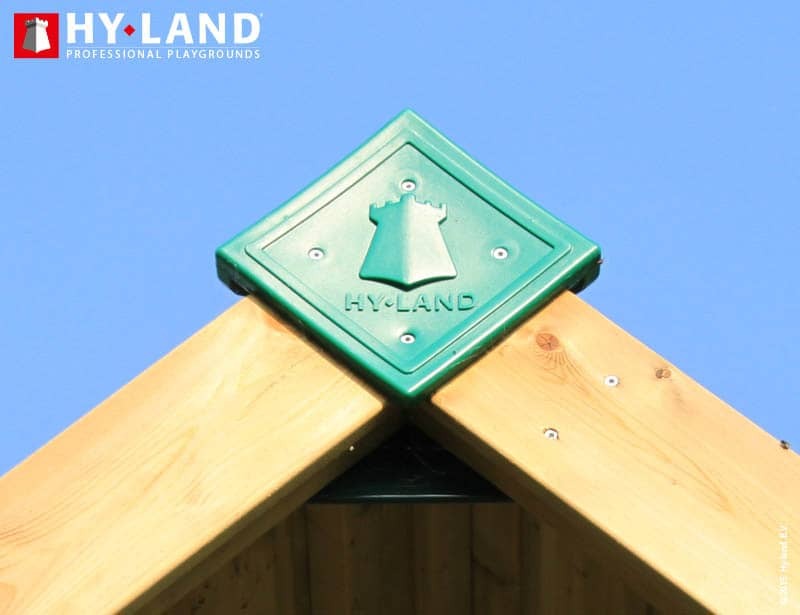 With a classic timber roof, built with robust materials such as stainless steel ladder rungs and Green polyethylene 3m slide. 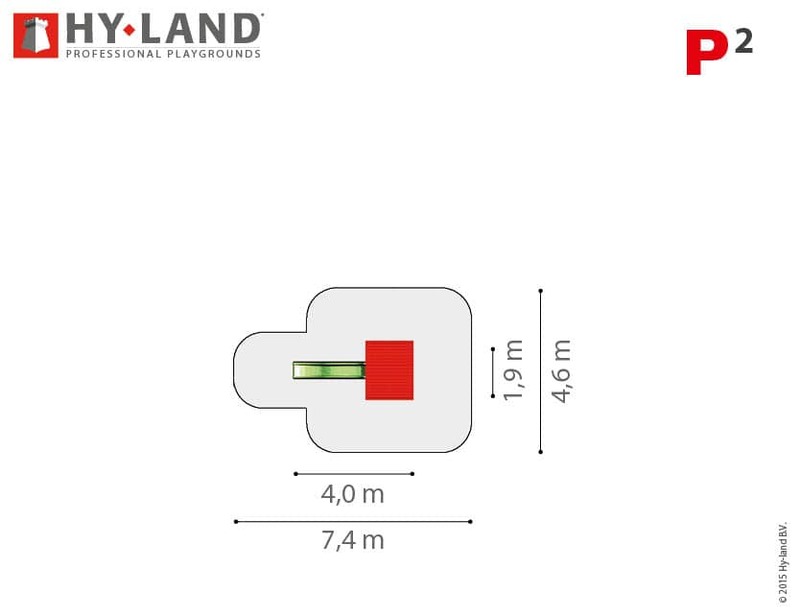 Hy-Land p2 size L400x W 190.fall height 1.5m. 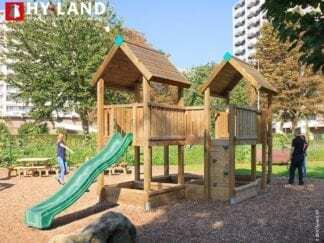 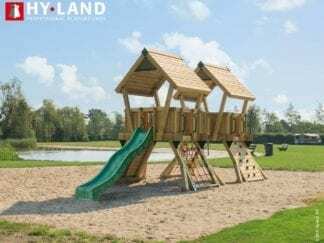 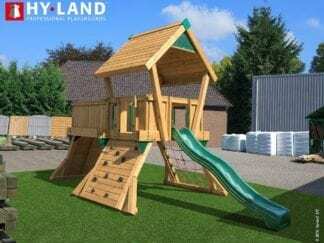 Safe Play area 740 x 460 x 230cm. 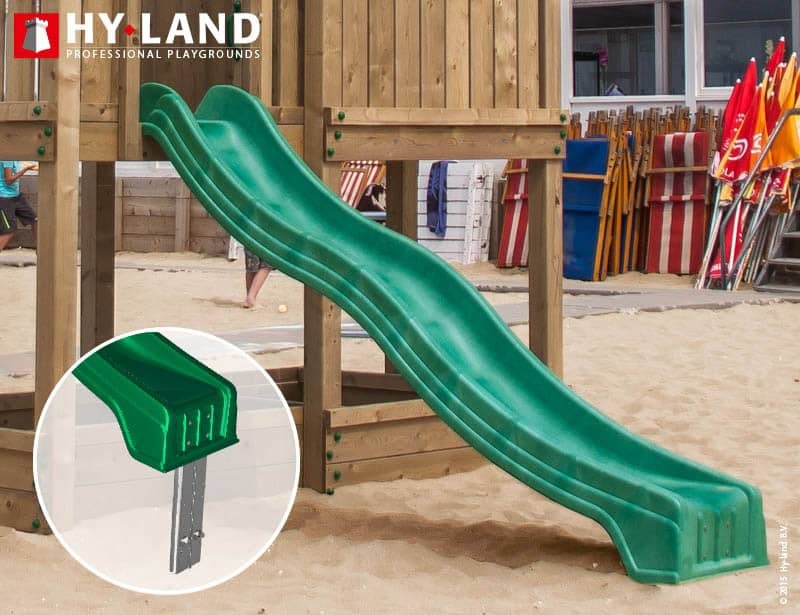 lyethylene,1x Sandpit with anti-root fabric and reinforced PVC covers, 1x Climbing ladder with stainless steel rungs and rung caps, 1x Gabled timber roof with decorative tympaniums, 4x Galvanised steel handgrips, coated with skid-resistant material, 4x Ground fixation brackets for paved surfaces (e.g. 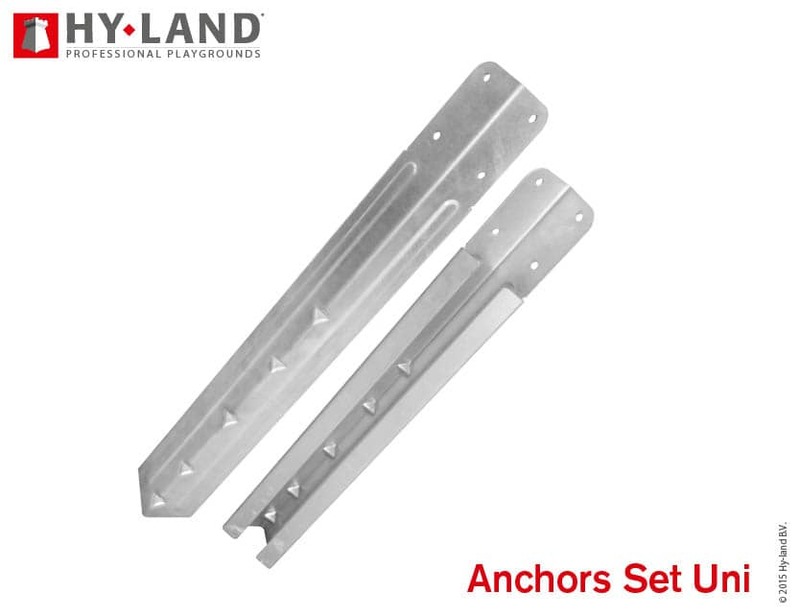 under rubber tiles), Galvanised powder coated steel construction brackets, Yellow zinc plated steel ground anchors for slide, Product identification sign, Triple-coated non-corrosive hardware and 2-piece bolt covers, Screw- and drill bits, measuring tools, Step-by-step illustrated assembly manual, Maintenance checklist & logbook.